Tagaytay Highlands International Golf Club, Inc. General Manager Claire T. Kramer shakes hands with Autostrada Motore, Inc. Chairman and President Wellington C. Soong (left) and Executive Director Jason Soong in a gesture to welcome the Maserati car brand in Tagaytay Highlands' Highroad Luxury Car Club. Maserati offered test-drives to Tagaytay Highlands club members in its showroom at Fort Bonifacio, Taguig. 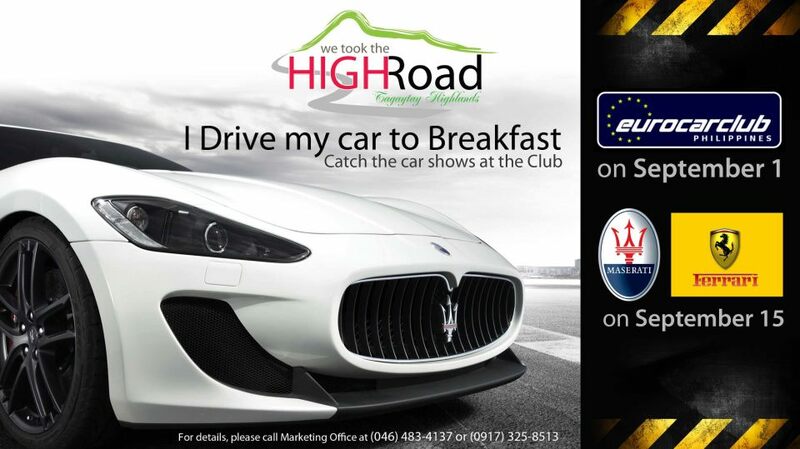 The car brand is scheduled to hold a get-together of all its patrons and form its own car club in Tagaytay Highlands.